Making our customers happy is what makes us happy! We understand that it might be difficult to purchase wholesale table linens online, especially when you have never before seen the color or material and have to rely on pictures that cannot capture the unique and iridescent colors of the fabric. That’s why we work hard to continually enhance the shopping experience and offer market leading return and exchange policies for our customers to have that ease of mind and have a pleasant shopping experience. If you are not fully satisfied with any of our products, we will do our very best to resolve any and all issues because making our customers happy is what makes us happy. The easy and friendly requirements listed below must all be met for any order to be accepted as a return or exchange. We must be notified within 30 days of the delivery confirmation date for any refund, exchange or defective product claims. A return request must be submitted prior to returning an item. Please see below for step by step instructions on how to submit a return request. Only authorized merchandise may be returned and must be received within 14 days of authorization. They've been opened or taken out of their plastic packaging (other than a single item used for fitting). They've been used, washed or damaged during the time they were in your possession. They're labeled as CLEARANCE items. They're labeled as SPECIAL or CUSTOM products. No refund or credit will be issued for any shipping fees. Additionally, returning the merchandise back to us is at your own expense. We are not responsible for any returned packages that are lost or damaged during transit time. During cases such as this, a claim must be filed with the carrier you chose to use. 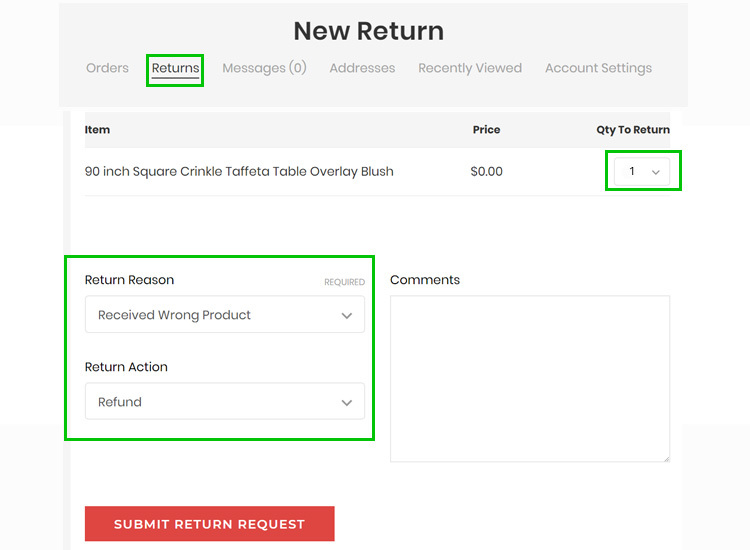 Locate the order you wish to return and click “Return Items?" Please specify the quantity of each item you wish to return, the return reason and return action. An optional comments section is available if you would like to provide any supplemental details in regards to the items being returned. Click “Submit Return Request” Please allow up to one business day for approval. Once a return is received, the products will be processed and inspected within one (1) business day. After a completed thorough inspection, a refund will be issued on either the original credit card used for the order, by check, or store credit, if requested. Please allow up to 5 business days, from the date the refund is issued, for the refund to appear on your account. For security reasons, the original products must be received and approved in order to proceed with sending the replacements. The normal procedure is; we receive the merchandise, submit a new order for the replacements, and apply the credit from the return towards the new replacement order. Since the process can be a little time consuming, for time sensitive orders, there is an alternative. 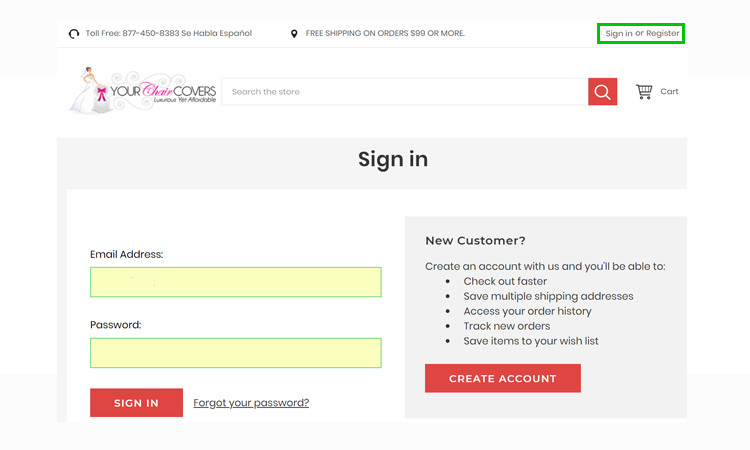 Simply place a new order for the correct merchandise and send the old order for a refund. In a situation like this, your previous order will be considered a return and your replacement order can be shipped immediately. If the replacement order is over $99, it will qualify for Free Ground Shipping if shipping destination is within the Contiguous 48 states in the United States. All orders below $99 or orders requiring expedited shipping will incur a shipping charge. Please contact our customer service department by phone or by using the form below for additional information or clarification. Our customer service specialists will be more than happy to provide assistance and guide you through all the necessary steps.